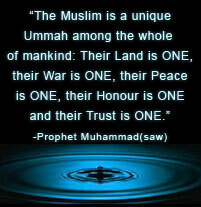 We are, without doubt, the greatest nation because Allah (SWT) has blessed us with the Deen of Islam – the Deen of Haq. Yet we are in a position today that can never be attributed to a nation such as ours. Why is this? Why is our honour being violated, our sanctity being taken away, our lands being divided, the Sharia not being implemented, why are Muslims being arrested and killed, and how are the Kuffar (disbelievers) able to get away with murder? Is it because the mosques are not full to their capacities? 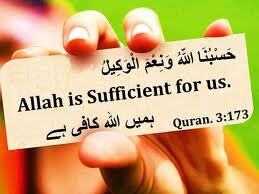 Is it because we are not doing enough dhikr? Is it because we are not an educated Ummah? Or is it because we are not integrating with the Kuffar? Many individuals mistakenly claim that it is due to the above, but in reality they are diverting from the main cause of our decline. Muslims no longer wish to strive for this Deen. They wish they can go to Jannah (heaven) without any kind of struggle – which goes against what Allah (SWT) has promised in the Qur’an. If you want Jannah you must sacrifice and struggle for this Deen. This verse is addressing an incident that occurred during the Battle of Uhud. Allah (SWT) informs us that He did indeed fulfil His promise to the Believers until they disobeyed and disputed with one another. The Messenger Muhammad (SAW) ordered the archers who were placed on the mountain never to move from their position, even if they saw the Muslims being dragged across the floor. However, the Kuffar were losing a great number of casualties due to the strategic placement of these archers, so the Kuffar sought how they could lure them down from the mountain. The Kuffar decided to tempt the believers with war booty and show that they were retreating from the battlefield. The moment the archers saw the booty and the Kuffar running away, they ran straight for the booty, thus disobeying the direct command of Rasoolullaah (SAW). The Kuffar then regrouped and made a counter attack, killing approximately seventy of the best Mujahideen. Allah tested the believers on that day and showed them that victory is not in numbers or strength; rather it is from Allah (SWT). So if we disobey the ameer and the commands of Allah, He (SWT) will test us by allowing the Kuffar to have an upper hand over us, and unless we resist and rise against them, they will continue to have an upper hand over us, violate our sanctity and occupy our lands. Therefore, dear Muslims, unless we rise and work to remove the tawagheet, they will always have an upper hand over us – as a test from Allah (SWT). People try to put the blame on practising Muslims or even on the Shaitan. However, as people who refer to the Qur’an and Sunnah, Allah (SWT) informs us that it is our fault for not ruling by the Book of Allah and rising against the Kuffar and Tawagheet. The apostate rulers want you to blame Shaitan and yourselves as it diverts any blame away from them. It is about time for us to think about the affairs of the Ummah and the Deen of Allah instead of ourselves. We must actively be working to overthrow the kufr regimes and implement the best sharia – the Sharia of Allah (SWT). Source: From The Pulpit of the Supporters of Sharia – A website that endeavours to provide Islamic knowledge, information and resources. This entry was posted in Arabs, Caliphate, Governments, Islam, Islamic World, Khilafah, Middle East, Misconceptions, Muslims, Oil, Religion, State Of Islam, Ummah. Bookmark the permalink.